How Costly is Software Version Control? It’s amazing how much procrastination goes into something as simple as a printer driver or satellite dish driver update, but it happens every day. While uploading the new software to modern devices doesn’t take the same time it used to (30-minutes or more), the process is often delayed or never completed. People are reluctant to take time out of their busy schedules to update home technology that isn’t broken, or may take longer than anticipated. The same rule applies to critical business systems, though the delays can be longer and more disruptive. Whenever you install software, it requires a certain amount of downtime for the program to reload and updates to be implemented. Sometimes this is a quick process, just a few minutes per computer or server. But other procedures can takes hours to upload and configure to meet the specific needs of the business. Downtime can be significant, though often it’s undertaken during the company’s off-hours or the operations are temporarily transferred to another machine. Either way, implementing a new version of critical business software can be disruptive and require a significant amount of time to complete. That’s one reason the cloud is gaining traction so quickly. With automatic updates for every user, innovation and improvements are typically available on the next log in with no downtime. Some services require an online download, but it’s typically a one or two click procedure that can be completed remotely by a solution provider or onsite by the user. Downtime is minimal or non-existent. Companies typically make frequent updates to their software or cloud applications to add new features and fix issues that may have been uncovered after previous releases. These changes are often made to improve the user experience or productivity, often streamlining the processes or creating a more intuitive interface. Delaying a system upgrade wouldn’t seem to be a major problem for most companies, with few repercussions and little associated cost. But when the latest version of the software includes important productivity enhancements, every hour that the implementation is postponed could be considered a lost opportunity. Consider the situation where an accounting package update included a new integration with your company’s PSA system, which would reduce the billing department’s labor cost by $500 per week when implemented. While a month-long delay wouldn’t create any real costs on the organization’s financial ledger, the business would definitely miss out on $2,000 in office staff savings. That’s the cost of version control. Now consider how hard it is to manage a significant number of critical programs that many larger companies run, ensuring each is up to date and operational. While a solution provider can make a good living offering that kind of continual support, cloud solutions are making that role somewhat obsolete. Physical software isn’t dead, though the number of offerings will likely continue to decline over the next few years. The point is, version control isn’t likely a long term business opportunity for solution providers. The cloud offers more benefits today, as a part of a services portfolio as well as for a VAR organization’s internal use. There is no good reason not to have the latest version of applications these days, within hours of their release. The cloud makes this possible, automatically pushing updates out to users without interrupting their work activities or causing significant downtime for their business. The hardest part is communicating the changes in a clear and concise manner, so customers know what is new and how to use it. It’s really not magic. It’s just the best alternative to version control. Ted Roller is VP of channel development Intronis, the cloud backup specialist. Monthly guest blogs such as this one are part of The VAR Guy’s annual sponsorship program. Read the archived Intronis guest blogs here. The former Verizon exec says partners must have hard conversations to achieve record growth. Phishing will continue to evolve this year. Not sure how Cloudiness helps with this at all. 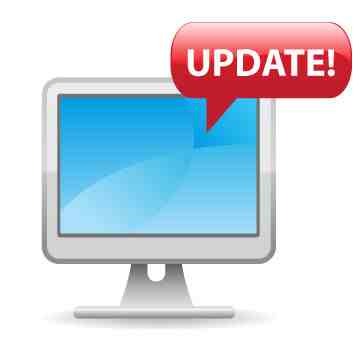 Businesses are reluctant to do automatic updates because of the likelihood of version conflicts with other software. Putting all the software in the Cloud just moves the location of the problem from one place to another, it doesn’t actually solve the problem. My thought was that when you leverage cloud based software, accessed through a browser, you reduce the time, effort and energy needed to focus on updates. I wasn’t suggesting moving existing apps to the cloud, but leveraging public cloud vendors to provide the valuable service of managing updates. Thanks for your thoughts and the opportunity to clarify.
? How do you think the cloud provider does it?